Just a note to my readers that I will be blogging from the J Street conference for the next few days. I plan to let you all know what happens there and what it all seems like to me, the atmosphere and the events themselves. I’m given to understand that attendance will be considerably higher than the first conference, but I will be curious to see what the attitude of those attendees is. The program really has a lot more scope than the first conference, with speakers ranging farther into the left, but also featuring many more MKs and a live address by Dennis Ross. That’s a pretty big spectrum. And, unlike the first conference, this one will take place in an atmosphere of deep disappointment with Barack Obama, with no peace process extant and with mounting evidence that the two-state solution is a dead dream. So follow me here, and also om Twitter, @MitchellPlit if you can’t make the conference yourself. American leaders continue to demonstrate that changes in the rest of the world, and the deep flaws in our foreign policy which they reveal, will have no impact on our thinking whatsoever. 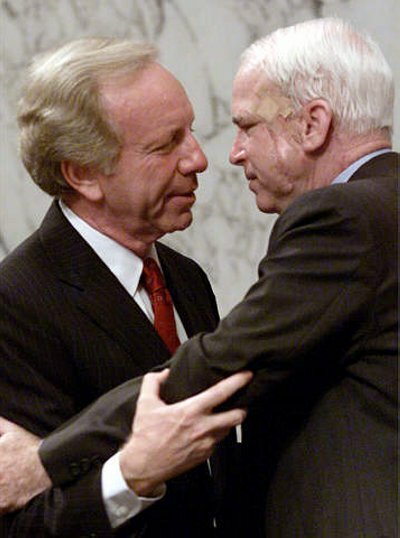 The latest case in point is the position staked out by Senators John McCain (R-AZ) and Joe Lieberman (I-CT) with regard to Lebanon. about where a post-Mubarak Egypt will end up, Lebanon has at least as much potential for both international intrigue and internal strife as any country in the Middle East. Lebanon’s political situation is always precarious; it’s only a matter of degree. But with a caretaker government currently in power and the still-looming announcement of indictments by the UN’s Special Tribunal for Lebanon (STL), Lebanon is a powder keg. And it’s not happening in a vacuum. The two competing coalitions are each in the favor of a different array of outside actors. The March 8 Alliance, which currently holds 70 of the 128 seats in Parliament, includes Hezbollah and is sympathetic to Syria and Iran. The March 14 Alliance features former Prime Minister Saad Hariri’s Future Movement and enjoys much stronger relationships with France, Saudi Arabia and the United States. The STL was set up to investigate the assassination of Hariri’s father, Rafik Hariri, the former Prime Minister of Lebanon, a widely respected leader who was also opposed to the Syrian presence in his country. Not surprisingly, the STL was, at first, expected to point the accusing finger at Syria. Now, the talk is centered on Hezbollah. The arrest and imprisonment for four years without charge of four pro-Syrian generals who were later freed for lack of evidence greatly increased the politicization of the STL, and this continued as Hezbollah went on a rhetorical offensive about it, including accusing Israel of Hariri’s murder. Hezbollah leader Sheikh Hassan Nasrallah’s speculations about Israeli responsibility have only minimal evidentiary support, but they are not impossible either. But they served their purpose in further undermining the STL’s credibility.